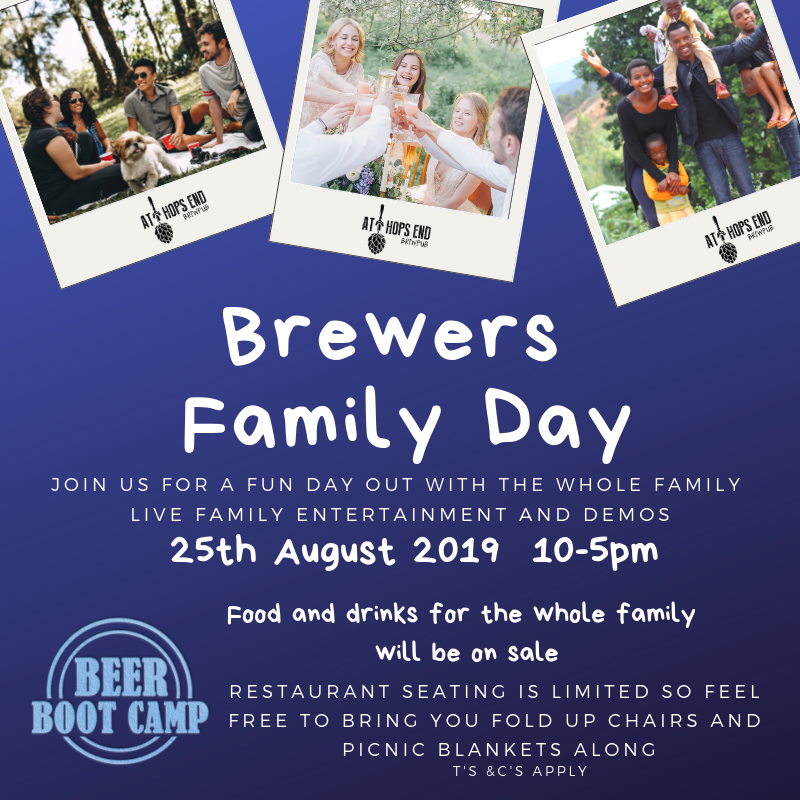 The Brewers Family Day, on the 25th August, is open to all Beer Boot Camp ticket holders and their extended families. The presenters will be at the family day which will give you extra time to chat one on one with them. The exhibitors have been invited to exhibit and demo products during the family day. We will have a jumping castle, face painting and activities for the whole family including live music and a brew a-long session in the brewery (the brew a-long with be a ticketed event due to space limitations). There will be some free beer tastings available (served on a first come first served basis).There will be a variety of family friendly food and drink stalls available for you to purchase from. Please note that we retain the right not to allow someone entry to the event and you will not be allowed to bring your own food/drinks to the event.